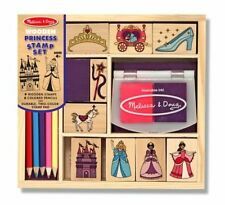 Stampin Up Perfect Punches Stamp Set. Condition is Used. Shipped with USPS First Class Package. Used Two-step stamp set. 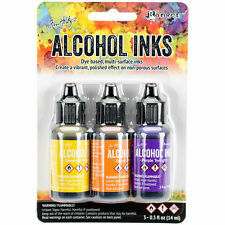 Also great for watercoloring or use with your favorite alcohol markers. Non-smoking environment. Perfect for tags and gift giving! Gently used. Non-smoking environment. Condition: Used - Little ink staining on rubber and wood. Great for Father's Day card making or memory keeping! Gently used. Non-smoking environment. Stampin Up Shell Set Wood & Mounted. Condition is Used with ink stains. Set 2009 Smoke free home Paypal for payment. Thank you for looking. This is a custom stamp personalized just for you! · This stamp will fit about 20-22 Characters in each line including white spaces. We will work with you to resolve any issues as soon as possible. Stampin' Up Stamp Set ~ Unfrogettable - set of 11. Condition is Used. Shipped with USPS First Class Package. African Animals. Woodmount(notice ink stain on corner of one woodblock). Stampin Up! Stitched Snowman. Condition is Used. Shipped with USPS First Class Package. · Customize up to 3 lines of text. This stamp give a crisp and clean impression. Font Style Arial. It is used but in great shape. 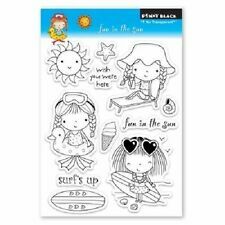 Stampin Up A Wish For You Sunflower Wood Mount Rubber Stamps - Condition is New. Includes 9 stamps. Stampin Up! "NICE AND EASY NOTES" Stamp Set ~ Birthday, Get Well, Thanks, Friend. Condition is Used. Shipped with USPS First Class Package. CANDY CANE CHRISTMAS SET Gingerbread Candy House Stampin' Up! Rubber Stamp. Condition is Used. Shipped with USPS First Class Package. Donald Trump Lives Here. We will fully customize your stamp and can add logos! This is a custom stamp personalized just for you! 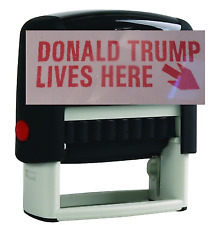 · This stamp will fit about 20-22 Characters in each line including white spaces. This lot includes 10 colors of your choice. If we do not hear from you we will send a fantastic variety! Coordinating Colors. Pitch Black. Purple Twilight. Sailboat Blue. Cloudy Blue. Cool Perri. Hopper Texture Guns. Punch Flange Tools. Nail Guns & Nails. Paint & Spray Guns. Grease Guns. Concrete Tools. Tile Cutters. Tap & Die Sets. Set of 10 Stampin' Up! Dual-Tip Markers. Stampin' Write New Color Kit (2013-2014 catalog). This was the "New Color Kit" - Item # 130034. It includes 10 dual-tip markers in the following colors 131903 - Wisteria Wonder. Stampin up! "DELIGHTFUL DAISY" card kit. This is a RETIRED DSP pattern from S.U. and can be hard-to-find. Works great for your Spring card making, scrapbooking your favorite photos. Buy it now as I have a LIMITED number of these kits remaining. Stampin Up Stamp Sets All New, Unmounted - You Choose your set! 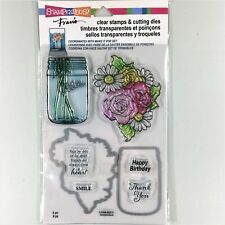 Stampendous Fran's Mason Jar & Flowers Clear Stamp & Die Set. Buy 3 Get 1 Free! These ½” thick clear acrylic stamping blocks are laser polished and have Rounded Corners & Beveled Edges. Self inking rubber stamp (max 3 lines). 1X Printing Stamp. 2X Word Plate. - Re-usable rubber type containing letters(A-Z), numbers(0-9) and symbols(@= % _). -Tweezers for setting type. Product Size:As The Picture of Shows. 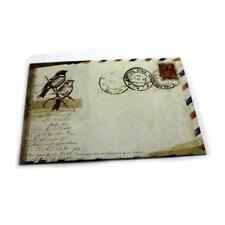 Pretty stationery gives a little extra thought and flair to a handwritten note. And when you can personalize the design with stamping and embossing, the sentiment becomes even more meaningful. In order to create the most unique, special stationery, you need a variety of stamping supplies to choose from. 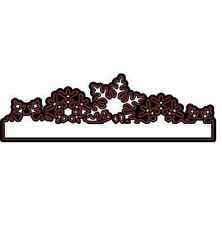 To get the best selection, shop for embossing stamps and stamping supplies online. From rubber stamps and metal stamps to ink pads and embossing products, eBay has all the stamping and embossing items you need to embellish your next note. You can also buy stamps and stamp sets from trusted brands including Tim Holtz, Lawn Fawn, Papertrey Ink and Close to My Heart. What Types of Stamping and Embossing Supplies Do I Need? If you’re just getting started with stamping and embossing, you will need a wood-mounted or acrylic stamp. 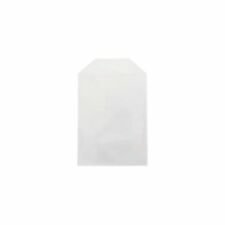 If you go with an acrylic stamp, you’ll also need an acrylic block. 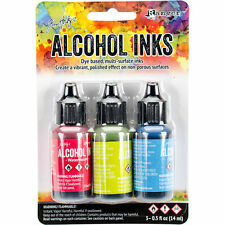 In addition, browse ink pads, paper and coloring supplies such as chalk or markers to color the white space in between the stamps. A stamping and embossing idea book will give you some basic instructions on the technique, as well as some ideas for creative patterns and designs. Heat embossing is a stamping technique that gives paper crafts added texture and depth. After you stamp an image onto the page, you cover it with embossing powder and heat it with an embossing tool until the powder melts. 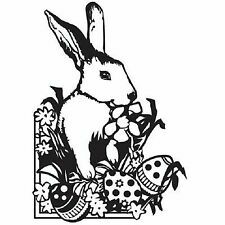 From holiday themes to flowers to animals to hearts, you can choose from a variety of different embossing stencils that will make your image look crisp and clear. You can use an embossing stamp to create greetings such as “Happy Birthday” or “Merry Christmas” on handmade cards. 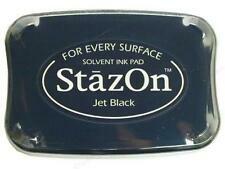 Or you can emboss in order to customize a company or business logo on paper or card stock. Whether you want to create special stationery and cards to send to friends and family members or you need to mass-produce letterhead to send to clients, eBay has everything you need. From holiday stamps to embosser stamps to intricate unmounted stamp designs, you’ll find it all on eBay. Shop the top brands in stamping and crafting, such as Stampin Up and Hero Arts, at the lowest prices around.